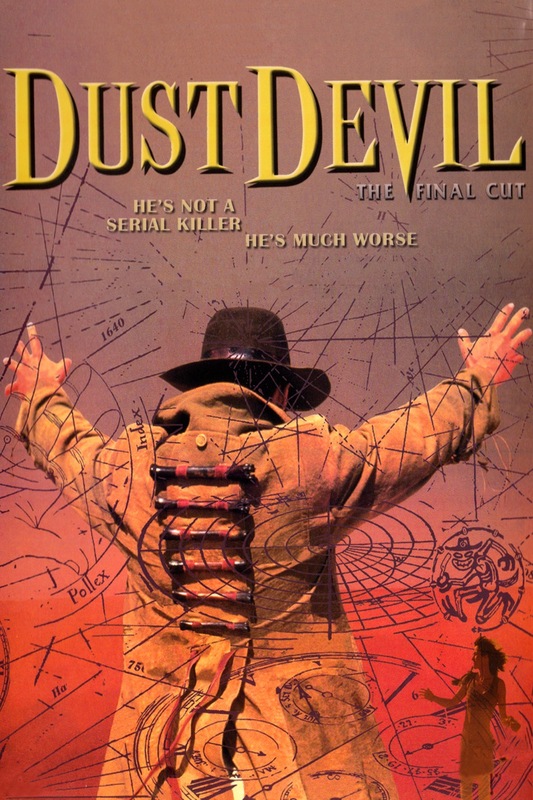 Dust Devil is a South African film that’s achieved cult status over the years, its quiet desperation, scenic locales and native mysticism reminiscent of another cult fave, Australia’s The Last Wave. That’s right, this is one o’ them thar “artsy” horror movies — slow, angst-ridden and sexually charged — though not as pretentious as ’80s fare like Cat People and The Hunger, each a sepia tone away from becoming a Calvin Kline commercial. Dust Devil is a little more accessible, although still dreamy and ambiguous. Like The Last Wave, it often feels as much about the internal strife and racial schisms that serve as the backdrop for the horrific events as the events themselves. Racial schisms in South Africa? Say it ain’t so! 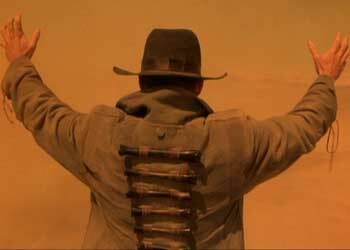 Actually, most of Dust Devil takes place in Namibia, a neighboring country that was controlled by South Africa until just before this movie came out, and as the film shows, Apartheid made a successful run for the border. Having grown up in this environment, white South African director Richard Stanley lends intriguing ethnographic and historical accuracies to the film without presenting the whites as all evil and the blacks as all good. It all makes for interesting drama, but so-so horror. 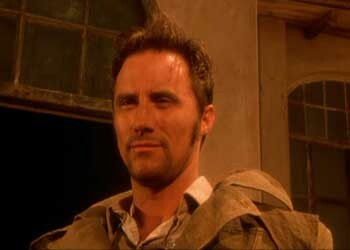 The supernatural part of the tale focuses on a shape-shifting demon — currently in the body of an American cowboy-type drifter (Robert John Burke) — hitchhiking through southern Africa, feeding on the souls of the hopeless. Lucky for him, hopeless people seem to abound in southern Africa. 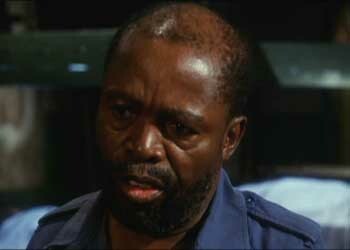 The most sympathetic character — and the de facto hero — is black cop Ben Mukurob (Zakes Mokae), who follows the demon’s trail of dead like a South African Quincy (or CSI, for you punk kids). Ben is an archetypical movie cop. Burned out? Check. Wife left him? Check. Dead son? Check. Feels responsible? Check. 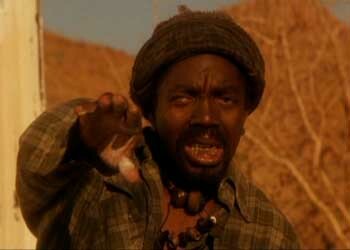 That said, he’s still one of the most intriguing black characters ever portrayed in a horror movie, a dense and troubled figure who’s in a position of authority, having to mediate between the races without causing ripples or taking sides. Furthermore, he’s a modern man who doesn’t believe in native superstition, so when local “sangoma” Joe Niemand (John Matshikiza) suggests an otherworldly culprit, he scoffs at the thought of using magic to capture him. Joe chides him for not believing in mysticism, saying, “You’ve got to stop thinking like a white man.” You mean no more Coldplay?!? Of course, Ben eventually “keeps it real” and tracks down the creature, although it’s hardly an intimidating baddie, since it can kill only if the victim secretly wants to die — basically reducing it to an otherworldly Dr. Kevorkian. Still, some disturbing imagery (courtesy of dreams not unlike The Serpent and the Rainbow), creepy sound effects and a rather explicit exploding head scene make for some memorable moments in a film that’s otherwise more thoughtful than scary. Hank’s attempt to “raise the roof” hit a snag when he realized there was in fact no roof. Champagne wishes and caviar dreams lead to Kool Aid tears. Cowlicks tend to undermine a demon’s intimidation factor. 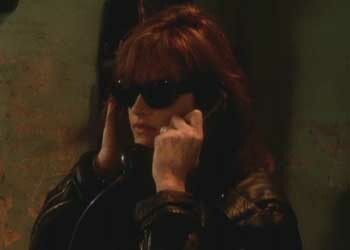 Lulu hoped her disguise would fool the caller ID.